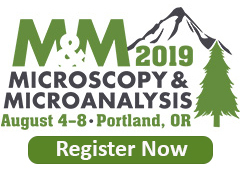 Microscopy & Microanalysis 2019 in Portland, Oregon! Portland provides an ideal summer backdrop for what promises to be another stellar M&M meeting! The Pacific Northwest region is a vacationer’s dream, with numerous activities for outdoor enthusiasts and urban adventurers alike. Tax-free shopping; countless local breweries, distilleries, and wineries; legendary Portland food carts and hundreds of restaurants with cuisine from all over the world; unparalleled hiking, camping, boating and sightseeing in the Cascade and Olympic National Parks, the picturesque Oregon Coast, and the stunning Columbia River Gorge. 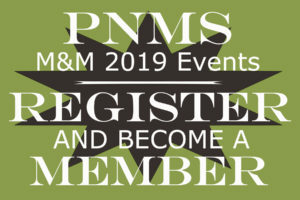 Registration for EVENTS at M&M 2019 in Portland, Oregon (Segway Tour, Dinner Cruise, and Pub Crawl) are now open! 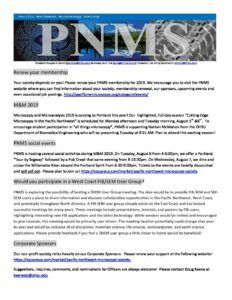 Pacific Northwest Microscopy Society members! 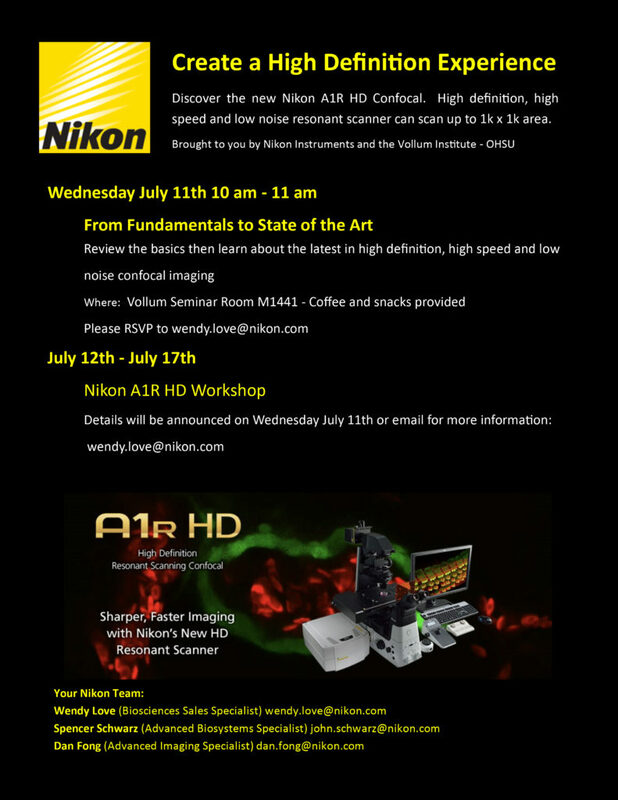 Mark your calendar for this free, one-day seminar designed to maximize your utilization of FTIR and Raman in your lab and prepare you to solve your most critical materials analysis challenges. 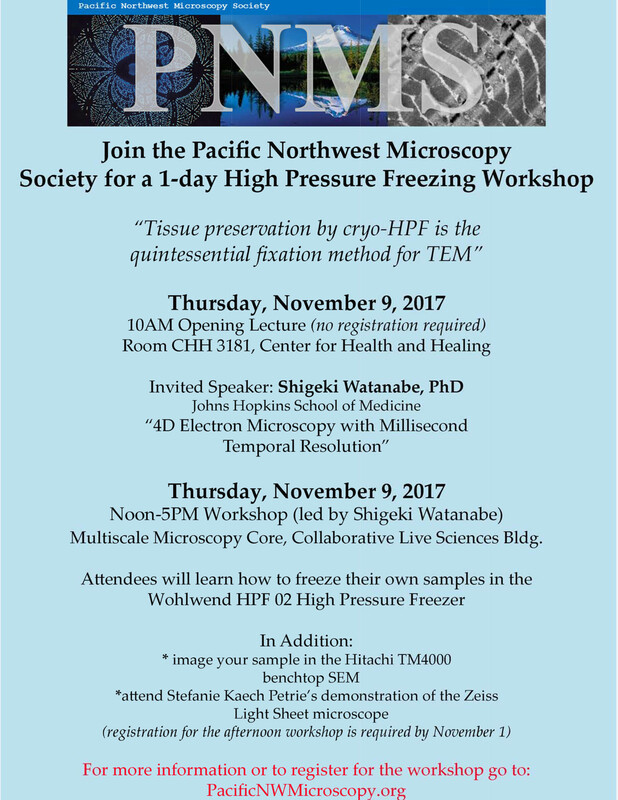 This seminar includes talks on both FTIR and Raman microscopy to highlight the unique information that can be obtained using vibrational spectroscopy. 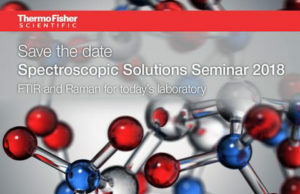 Join Thermo Fisher Scientific at the Spectroscopic Solutions Seminar to network with industry experts and peers at the Westin Seattle, 1900 5th Avenue, Seattle, WA on Wednesday, April 25, 2018. 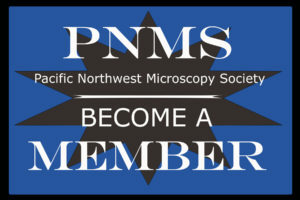 Join the Pacific Northwest Microscopy Society for a two-day symposium in Portland featuring innovative area scientists pioneering the latest technologies in Microscopy. Recent innovations in light and electron microscopy enable researchers to challenge biologically critical questions previously thought impossible to resolve. Here is an opportunity to interact with those at the forefront of emerging technologies in a friendly atmosphere with many opportunities for conversation and collaboration.